1/18 Scale Diecast Model by Kyosho. Scale 1/18. GOOD - The item will have had more use, showing obvious imperfections. Ending Soon. New Arrivals. The RM Toys Team. Kind Regards. Our aim is to ensure no matter what the model, we will provide an excellent service experience. 1/ Scale Model by KYOSHO. FAIR - The item will have heavy signs of wear, showing major imperfections. Our aim is to ensure no matter what the model, we will provide an excellent service experience. 1/18 Scale Diecast Model by Kyosho. Material Diecast. Scale 1/18. Missing rear light, foggy front light - Paint on rear arch. GOOD - The item will have had more use, showing obvious imperfections. EXCELLENT - The item will have had very careful use, with only small imperfections. 1/18 Scale Model by KYOSHO. Scale 1/18. Ending Soon. New Arrivals. The RM Toys Team. Kind Regards. Our aim is to ensure no matter what the model, we will provide an excellent service experience. GRADING CONDITIONS. 1/18 Scale Model by KYOSHO. Scale 1/18. The MODEL is in MINT Condition. The BOX is in near mint Condition. MINT - The item is in perfect condition. GOOD - The item will have had more use, showing obvious imperfections. 1/18 Scale Model by KYOSHO. 1/18 Diecast Model By Kyosho09217S Audi R8 Spyder (Silver)The Model Is InMint Condition. The Box Is Excellent Condition. Light Wear. Ending Soon. New Arrivals. The RM Toys Team. 1/18 Scale Model by KYOSHO. Safe & Secure. SPARES or REPAIR - The item will be in a poor condition. The RM Toys Team. Kind Regards. MINT - The item is in perfect condition. Our aim is to ensure no matter what the model, we will provide an excellent service experience. 1/18 Scale Diecast Model by Kyosho. Material Diecast. Scale 1/18. Ending Soon. New Arrivals. The RM Toys Team. Kind Regards. Our aim is to ensure no matter what the model, we will provide an excellent service experience. 1/18 Scale Diecast Model by Kyosho. Material Diecast. Scale 1/18. The MODEL is in EXCELLENT Condition - Slight rash in paint on bonnet (See last picture) Previously displayed. EXCELLENT - The item will have had very careful use, with only small imperfections. Kyosho AUDI R8 Coupe 5.2 V10 in Suzuka grey with black carbon sideblades and a black interior.This is a rare Audi dealer version. Very collectable with dealer versions becoming rare. Only opened to take photos. 1/18 Scale Model by KYOSHO. Scale 1/18. The MODEL Is In MINT Condition. The BOX Is In GOOD Condition. EXCELLENT - The item will have had very careful use, with only small imperfections. GOOD - The item will have had more use, showing obvious imperfections. 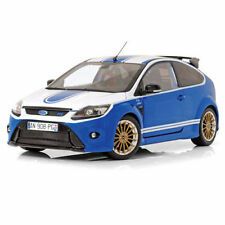 1/18 Scale Diecast Model by Kyosho. Scale 1/18. FAIR - The item will have heavy signs of wear, showing major imperfections. Ending Soon. New Arrivals. The RM Toys Team. Kind Regards. MINT - The item is in perfect condition. Color: Damson Red (Dark Purple). Manufacturer: KYOSHO. special edition of Bentley. Scale: 1:18. 1/18 Scale Model by KYOSHO. Scale 1/18. GOOD - The item will have had more use, showing obvious imperfections. EXCELLENT - The item will have had very careful use, with only small imperfections. FAIR - The item will have heavy signs of wear, showing major imperfections. 1/18 Scale Model by KYOSHO. Scale 1/18. The MODEL is in NEAR MINT condition - Previously displayed. The BOX is in GOOD condition - Worn. EXCELLENT - The item will have had very careful use, with only small imperfections. 1/18 Scale Diecast Model by KYOSHO. Ending Soon. New Arrivals. The RM Toys Team. Kind Regards. Our aim is to ensure no matter what the model, we will provide an excellent service experience. GRADING CONDITIONS. Kyosho 1/18 Scale Diecast 08194BL - Austin Mini Countryman - Light blue . A very attractive model of this Austin Mini Countryman with the ‘wood’ trim faithfully replicated. Fantastic detailed engine bay & interior. Opening ‘barn’ doors at the rear. The model is in mint condition (as new) & the box is very good - light storage marks. Condition is Used. 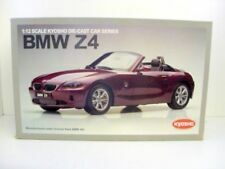 99p start with no reserve auction Dispatched with Royal Mail 2nd Class Signed For. 1/18 Scale Model by KYOSHO. Scale 1/18. The MODEL Is In MINT Condition. The BOX Is In MINT Condition. EXCELLENT - The item will have had very careful use, with only small imperfections. GOOD - The item will have had more use, showing obvious imperfections. 1/18 Scale Model by KYOSHO. Scale 1/18. The Model Is In MINT Condition The Box Is In GOOD Condition - Worn. Our aim is to ensure no matter what the model, we will provide an excellent service experience. 1/18 Scale Model by KYOSHO. Scale 1/18. The MODEL is in EXCELLENT condition - Very slight peppering on the paint in places. The BOX is in EXCELLENT condition. Our aim is to ensure no matter what the model, we will provide an excellent service experience. 1/18 Scale Model by KYOSHO. Scale 1/18. FAIR - The item will have heavy signs of wear, showing major imperfections. SPARES or REPAIR - The item will be in a poor condition. Our aim is to ensure no matter what the model, we will provide an excellent service experience. 1/18 Scale Model by KYOSHO. Scale 1/18. EXCELLENT - The item will have had very careful use, with only small imperfections. GOOD - The item will have had more use, showing obvious imperfections. FAIR - The item will have heavy signs of wear, showing major imperfections. 1/18 Scale Resin Model by Kyosho. Scale 1/18. The MODEL is in MINT Condition. The BOX is in MINT Condition. Our aim is to ensure no matter what the model, we will provide an excellent service experience. 1/18 Scale Diecast Model by Kyosho. Material Diecast. Scale 1/18. GOOD - The item will have had more use, showing obvious imperfections. The RM Toys Team. Kind Regards. MINT - The item is in perfect condition. 1/18 Scale Diecast Model by Kyosho. Material Diecast. BMW Dealer issue model. Scale 1/18. The MODEL is in the following condition - NEAR MINT - Previously displayed. The BOX is in the following condition - EXCELLENT - Slight wear. 1/18 Scale Model by KYOSHO. Scale 1/18. Ending Soon. Supplied in SCUFFED display case. No outer card box. EXCELLENT - The item will have had very careful use, with only small imperfections. GOOD - The item will have had more use, showing obvious imperfections. 1/18 Scale Diecast Model By Kyosho08533A Bmw V12 Lmr - 1999 Le Mans Winner #15The Model Is In Good Condition. Missing One Mirror. Slightly DustyThe Box Is In Excellent Condition. Slightly Worn. 1/18 Scale Model by KYOSHO. 1/18 Scale Diecast Model by Kyosho. The BOX is in the following condition - EXCELLENT - slightly worn. Scale 1/18. EXCELLENT - The item will have had very careful use, with only small imperfections. 1/18 Scale Model by KYOSHO. Scale 1/18. SPARES or REPAIR - The item will be in a poor condition. Add to Favourites. GOOD - The item will have had more use, showing obvious imperfections. The RM Toys Team. 1/18 Scale Model by KYOSHO. Scale 1/18. Model is in MINT condition. Box is in MINT condition. GOOD - The item will have had more use, showing obvious imperfections. EXCELLENT - The item will have had very careful use, with only small imperfections. 1/18 Scale Model by KYOSHO. The Model is in MINT Condition. The Box is in GOOD Condition - Previously Displayed, Worn. GOOD - The item will have had more use, showing obvious imperfections. EXCELLENT - The item will have had very careful use, with only small imperfections. 1/18 Scale Diecast Model by Kyosho. Material Diecast. Scale 1/18. Safe & Secure. SPARES or REPAIR - The item will be in a poor condition. The MODEL is in the following condition - MINT. The BOX is in the following condition - EXCELLENT - Slight wear. 1/18 Scale Diecast Model by Kyosho. Material Diecast. Scale 1/18. EXCELLENT - The item will have had very careful use, with only small imperfections. GOOD - The item will have had more use, showing obvious imperfections. 1/18 Scale Diecast Model by KYOSHO. Material Diecast. The Model Is In EXCELLENT Condition. the roof has a very slight rash in the paint in certain light / also missing one bonnet clip. The Box Is In EXCELLENT Condition. 1/18 Scale Model by KYOSHO. Scale 1/18. The MODEL Is In NEAR MINT Condition - Previously Displayed. The BOX Is In EXCELLENT Condition. Our aim is to ensure no matter what the model, we will provide an excellent service experience. 1/18 Scale Resin Model by Kyosho. Material Resin. Scale 1/18. Ending Soon. New Arrivals. The RM Toys Team. Kind Regards. Our aim is to ensure no matter what the model, we will provide an excellent service experience. 1/18 Scale Model by KYOSHO. Phoenix Orange / Sanotorini Black. The MODEL is in MINT condition. The BOX is in MINT condition. Scale 1/18. SPARES or REPAIR - The item will be in a poor condition. Add to Favourites. 1/18 Scale Model by KYOSHO. Our aim is to ensure no matter what the model, we will provide an excellent service experience. Ending Soon. New Arrivals. The RM Toys Team. Kind Regards. GRADING CONDITIONS. 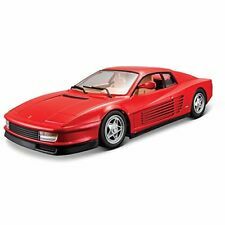 Kyosho 1/18 escala 08163A-Ferrari 365GTB/4 - #64 Daytona Comp.